A Course in Miracles, a spiritual curriculum rooted in psychotherapy, can be intimidating, as it is a lengthy book with fine print that looks more like an encyclopedia than a book you want to keep bedside for easy reading. 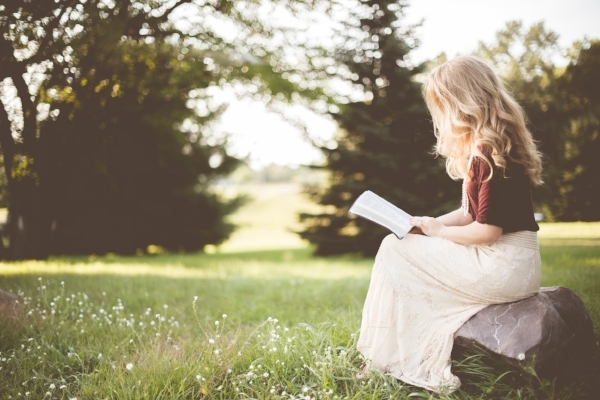 Made popular by spiritual teachers like Marianne Williamson or Gabrielle Bernstein, many people want to study ACIM, but they don't know how to approach the text, or what to make of all of its directives, particularly as they are expressed using Christian terminology. All of your fearful thoughts are wrong. You have chosen and created your reality, as a powerful extension of God, and in order to change your life, you must recognize your misperception and course-correct. Take some time to let that prayer settle into your heart. Let's break it down: first, you are relinquishing all feelings of victimhood, declaring that you are solely responsible for your negative feelings (stress); secondly, once you've decided that you are suffering only because you are choosing to suffer, you can choose differently. Peace only comes when you are ready to admit that you're wrong. Forgiveness only comes when you're ready to take radical responsibility for your life. Love only comes when your'e willing to enter into a holy relationship, meaning, you're willing to shift the goal of your relationship to align it with that of God, rather than that of your ego. The key here is: You get to decide. So, if you're stressed at work, the misperception might be that you have to do everything right now, you have to be perfect, or there's not enough time to relax because your schedule is so busy. There's always another way of looking at things, and the moment you take radical responsibility for your life, your choices, and your state of being, is the moment that you can create a new reality. You must be willing to admit that you are wrong. Ouch. That stings a little. Stressed? You're wrong. Angry? You're wrong. Unwilling to forgive your partner? You're wrong. It's never anyone else's fault. It's never the case of an angry God who's giving you the raw deal. It's all you. You get to choose peace. You get to let go of grievances. You get to extend the love of God and be joyful, or show up to work or at home as a grumpy, complaining jerk. It's up to you. And in any moment that you're feeling less than love, less than peace, or less than the most-loving version of yourself, it's because you're making the wrong choice, and you must be willing to choose again. You must be willing to choose love. The good news is that all it takes is the smallest willingness to admit that there just might be another way of looking at things, the slightest admission that, yeah, you might not know everything in the universe. If you're willing to relinquish your perception, the illusion of control, and the idea that you're right 100% of the time, just a teeny-tiny bit, then peace is just around the corner. Happiness is just on the other side of clinging to the belief that you're right. Surrender is just around the corner from needing to control everything. It's not the great shifts or tremendous amount of work that's going to radically change your life, it's the continual shifts in perception. It's choosing love moment-by-moment, especially when you're in the middle of a stressful day and the response that feels easiest is to worry, complain, or not trust God. At those moments, open up ACIM, and repeat one of the many prayers offered throughout the text. Any one of them will service you in profound ways. Once you are willing to take responsibility for your life (and your perception of your life), you open up to other possibilities. This is the cornerstone of ACIM, and it's not a hard concept to grasp, but it does require quite a bit of emotional and spiritual maturity to practice.